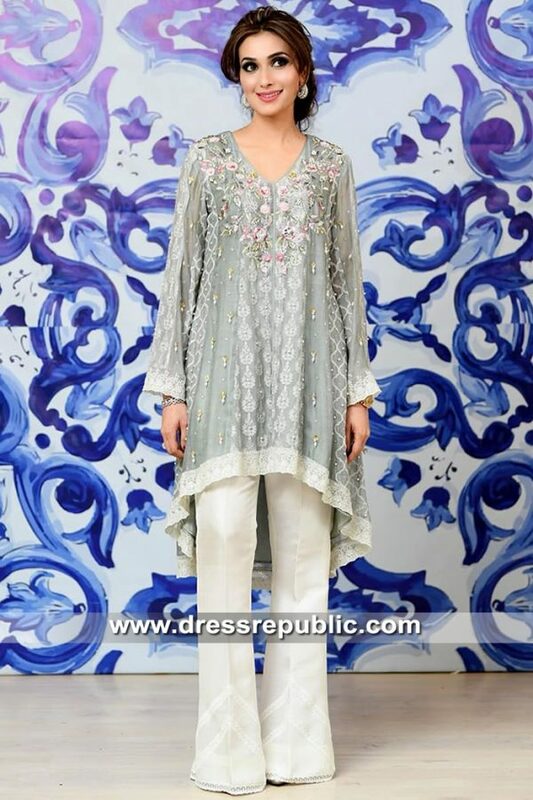 Beige jamawar front slit long shirt. 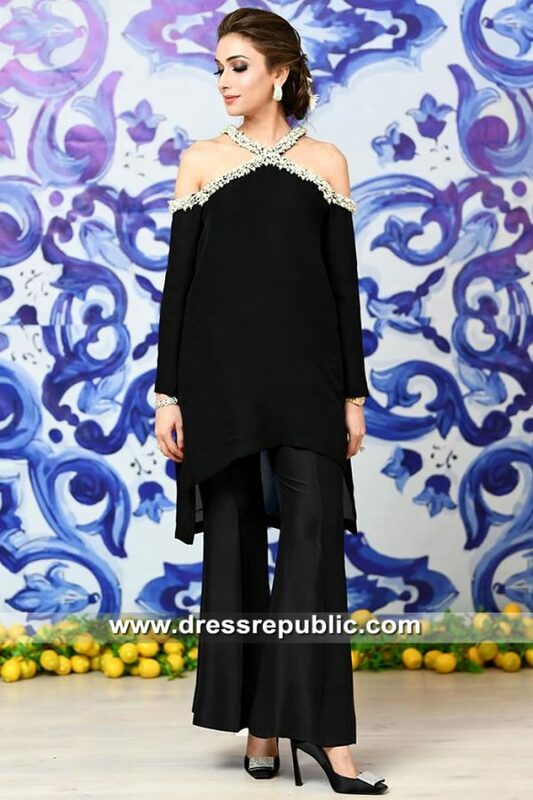 Stylish embellishments accents the neckline and hem borders; tiny-sized ornamental motifs all over the front with sequins shower. 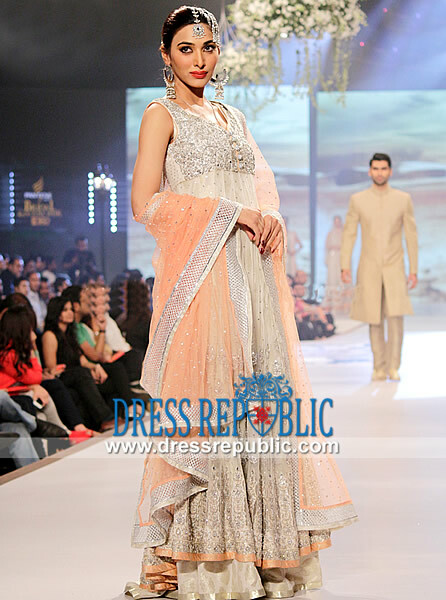 Beige jamawar two-legged lehenga is adorned with embellished borders; sequins shower all over. 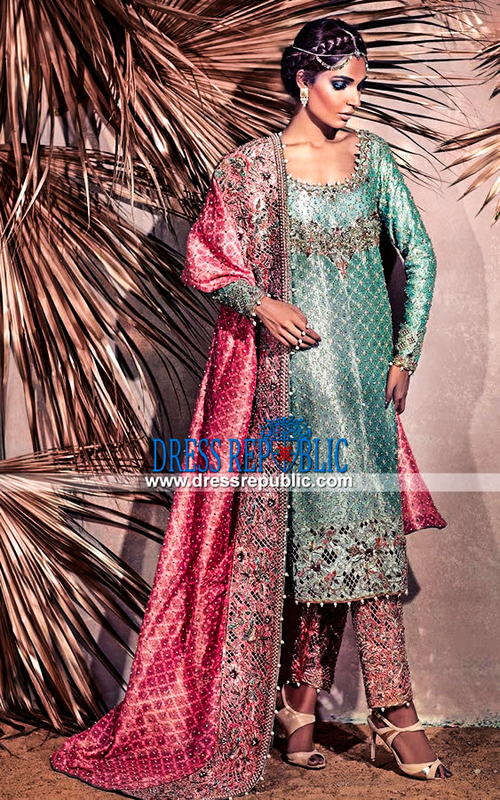 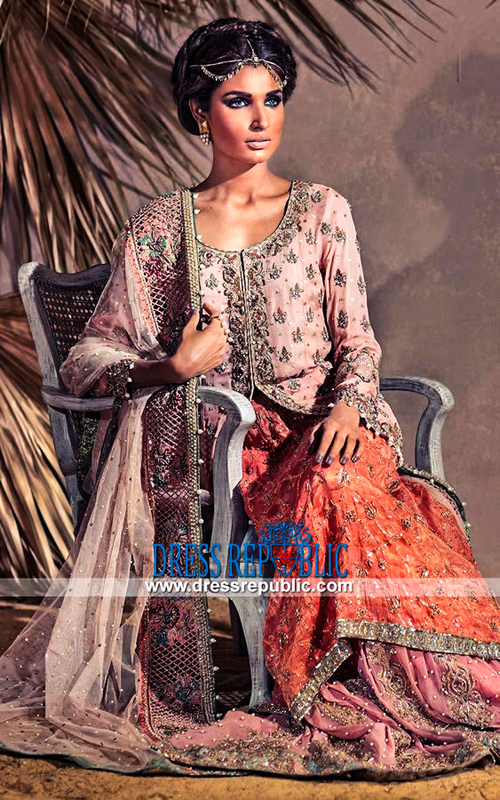 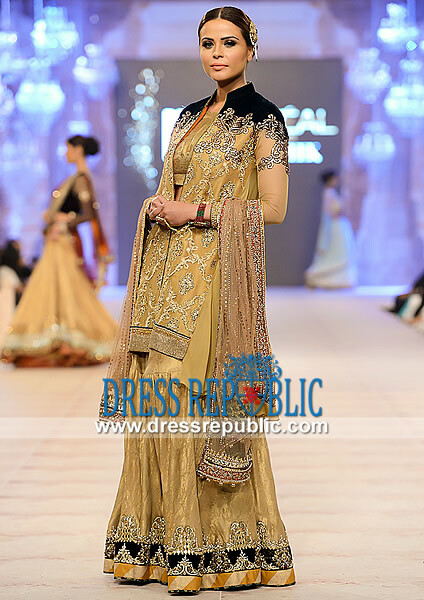 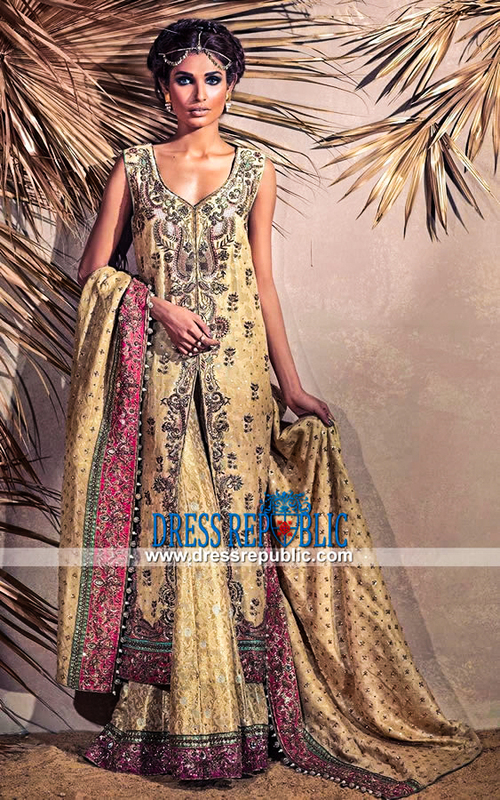 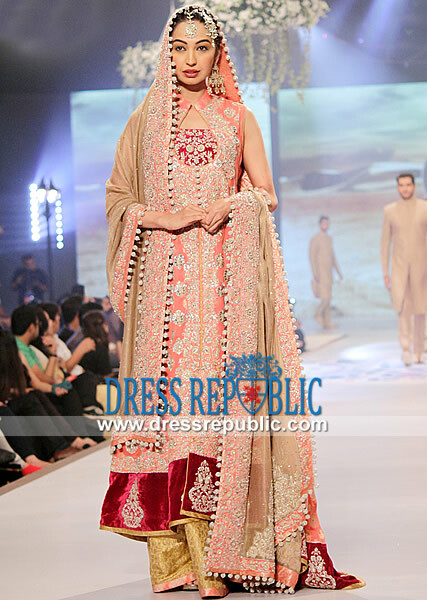 Beige jamawar dupatta having embellishment detailing on one-side border; tiny-sized ornamental motifs throughout.